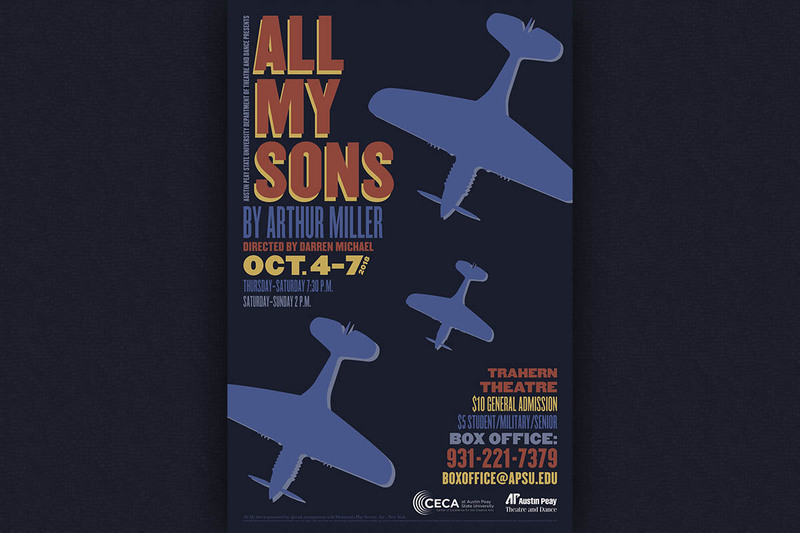 Clarksville, TN – On Thursday, October 4th, 2018 the Austin Peay State University Department of Theatre and Dance will open its 2018-19 season with “All My Sons” by Arthur Miller. The production will run through Sunday, October 7th. Show times are 7:30pm Thursday-Saturday, with matinee performances 2:00pm on Saturday and Sunday. All performances are at the Margaret Fort Trahern Laboratory Theatre. Betrayal, lies and passion threaten to unravel the comfortable lives of the Keller family, hardworking, middle-class suburbanites. The year is 1947. World War II ended two years ago. Though the war took its toll, the family should be recovering normally because patriarch Joe Keller owns a factory that supplied airplane parts for the war effort and now prospers. Kate Keller is certain her son, Larry, missing for three years, will return to marry his fiancée, Ann, who lived next door when they were children. However, Ann has traveled to see Kate’s other son, Chris, who has his own marital intentions despite his mother. Complicating matters even more, Ann’s brother, George, is on his way to confront Joe Keller about a crime during the war for which George’s father is now in prison. 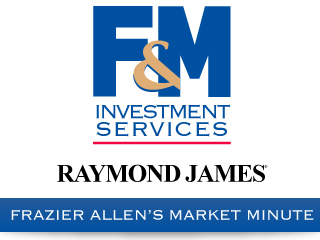 Directed by Darren Michael, “All My Sons” promises to deliver an intense look at how far one will go to protect everyone and everything they hold dear in life. “All My Sons” is presented by special arrangement with Dramatists Play Service, Inc., New York. Tickets can be purchased online at the Theatre and Dance webpage www.apsu.edu/theatre-dance/seasons/current-season.php or preceding the performance.